Hydropol Project & Management a.s., one of the world’s leading partners for international hydroelectric power development, announces that it has won a contract to construct a new hydropower plant in the north-eastern Italian region of Friuli Venezia Giulia. The total value of the project is 120 million crowns (4.5 million euros). 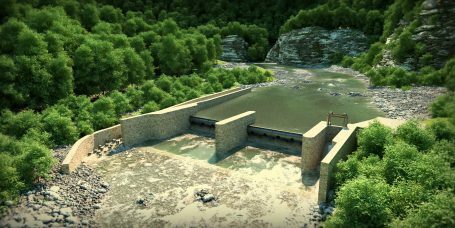 The hydropower plant, whose project planning lasted more than a year, will be located near Tolmezzo, in the province of Udine. The 700-kW installed capacity plant, with more than 50 metres of gradient, will benefit from the strong and steep flow of the Chiarso River running from the Dolomites on the Italian-Austrian border. Construction of the new plant is scheduled to be completed in the first quarter of 2019, which would make it one of Hyrdropol’s most demanding projects given the short construction timeframe and technical complexities involved. “We are delighted to continue our work in helping Italy fulfil its renewable energy potential, which has already resulted in the construction by Hydropol of two plants with a combined installed capacity of almost 4,000 kW years. The success of these two plants in the provinces of Lombardia and Piedmont has enhanced Hydropol’s reputation as a reliable and efficient developer in the global field of hydropower,” says Jan Tošnar, Managing Director, Hydropol. This new project comes on the back of two important contracts recently won by Hydropol to construct new hydropower plants in Wales in the United Kingdom. The total value of those projects is estimated at 350 million CZK (13.7 million EUR). Both plants are part of the wider Elan Valley water catchment area, which supplies drinking water to Birmingham and Swansea, and will harness the remaining potential between existing dams.